The Cavalier Mustang was a post-World War II civilian-modified version of the North American P-51 Mustang aircraft. Although originally intended as a high speed personal aircraft, the Cavalier was also exported for use as a fighter and close air support aircraft to third world air forces. 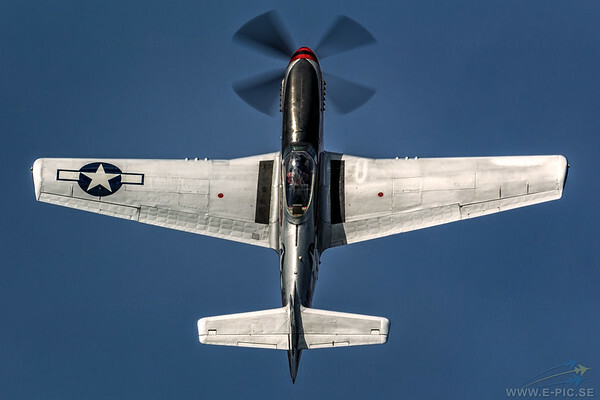 To construct the Executive Mustang, Trans Florida purchased military surplus P-51s. The airframes were completely disassembled, the military equipment stripped out, and then rebuilt with a second seat, new avionics, plush leather interiors, luggage bays and civilian paint schemes.